Norwegian Investor, Mr. Christian Wienpahl, at the groundbreaking ceremony for the Zenith Nevis Project. 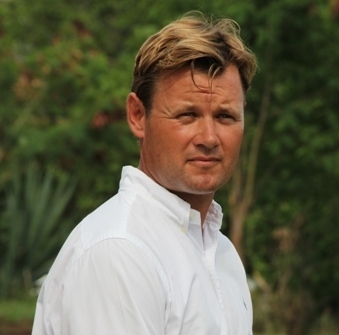 NIA-CHARLESTOWN, NEVIS (June 9TH, 2011) — “Every morning when I wake up, I say it’s just another day in paradise with friendly people; nice, warm climate and a beautiful island that has not been overdeveloped,” said Norwegian-born investor, now resident of Nevis, Mr. Christian Wienpahl. Mr. Wienpahl, on May 26 in the presence of representatives from the Nevis Island Administration [NIA], hosted an official groundbreaking ceremony for the Zenith Nevis Project. The start of the worldwide economic downturn and terrible housing market in the United States, according to the Norwegian investor, made it difficult to attract any potential buyers to the island. “It even got worse in October when Hurricane Omar struck the island and closed down the Four Seasons Resort. Sadly, the consequences of the closure have been big,” he explained. In addition to thanking the NIA for its assistance, Mr. Wienpahl spoke of his developmental plans for Nevis. These plans, he said, include the construction of private beach houses at Cades Bay Development and the expansion of the Chrishi Beach Club. In response to Mr. Wienpahl’s remarks, Nevis’ Premier and Minister of Tourism, the Honourable Joseph Parry congratulated the Norwegian investor on having reached “such a milestone” while recording his administration’s continued support of tourism-related projects.